Official web-site of «Presidential basketball club «Astana» / The Day of the First President of the Republic of Kazakhstan! First President's Day is a holiday, opening a new milestone in the development and formation of the statehood of the Republic of Kazakhstan — a young, strong, powerful state with the great potential. Today, Kazakhstan has become a country with a well-established interethnic harmony, positively changing in all areas of public life, with successfully developing economy, science and culture. 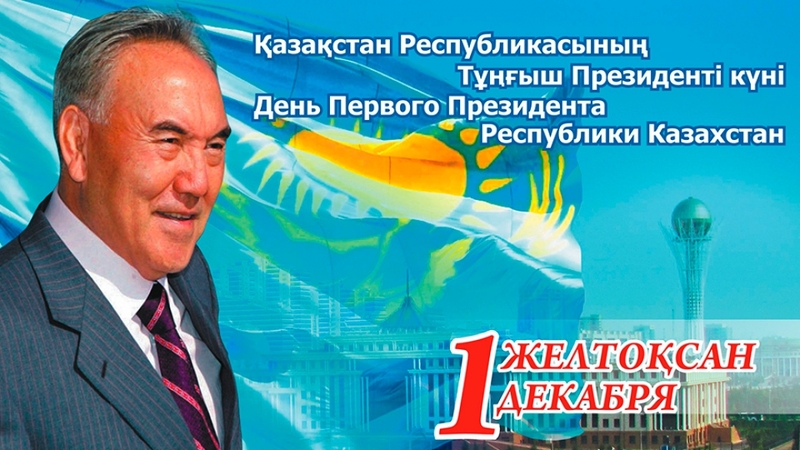 Day of the First President of Kazakhstan symbolizes the unity of the Nation Leader and the people on the path of prosperity and progress. On this day, we wish you good health, peace and kindness. May our motherland, the Republic of Kazakhstan, always flourish!